While not every injury will require extended negotiations with insurance adjusters or investigation, many people who have been hurt due to someone else's negligence will need legal representation to ensure they get the compensation they deserve. Rogers & Driver Attorneys at Law, personal injury attorneys serving clients from their offices in Glasgow, KY, list a few of the situations in which you should likely contact an accident attorney. Have Been Seriously Injured: The more severe your injuries are, the more uncertain the total cost of treating them will be. Insurance adjusters will offer you the lowest amount you're likely to accept, which may not be enough to cover your medical expenses over the long term, let alone compensate you for non-monetary damages. Receive an Insufficient Offer: In many cases, insurance companies make offers that don't fully compensate you for your injuries, and may refuse to negotiate further. Having a personal injury attorney on your side can often compel the insurer to make a higher offer more in line with the actual valuation of your case. Have Been Denied: Occasionally, the insurance company may refuse to admit fault and deny your claim. In this case, you'll need a personal injury attorney who knows how to prove liability and ensure that your rights are respected. When you've been hurt in an accident caused by someone else's negligence, you shouldn't have to bear the financial consequences alone. 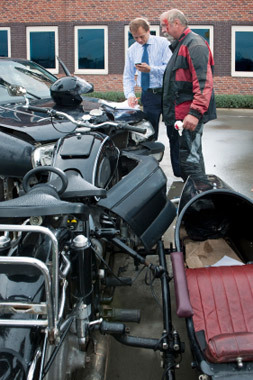 The accident lawyers at Rogers & Driver Attorneys at Law will stand up for your interests and guide you through every step of the process, doing whatever they can to help you collect the maximum award for your damages. Visit their website to learn more about their reputation for excellence or schedule a consultation by calling (270) 651-2258 today.